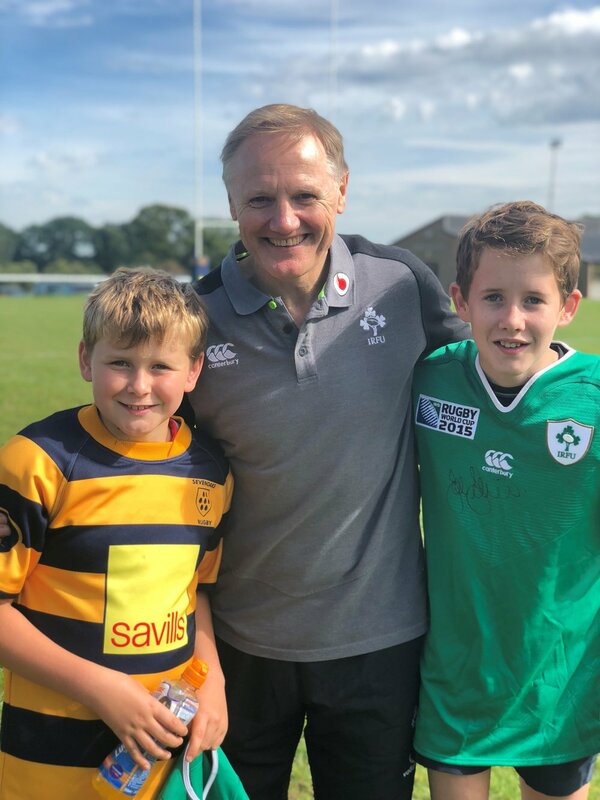 Two very special guests gave up their time to coach and develop Sevenoaks Rugby juniors at the Paddock on Sunday 13 September, when Ireland Rugby Head Coach Joe Schmidt and former All Black Hika Reid, now coaching down the road at Cranbrook School, came down to Knole Paddock. 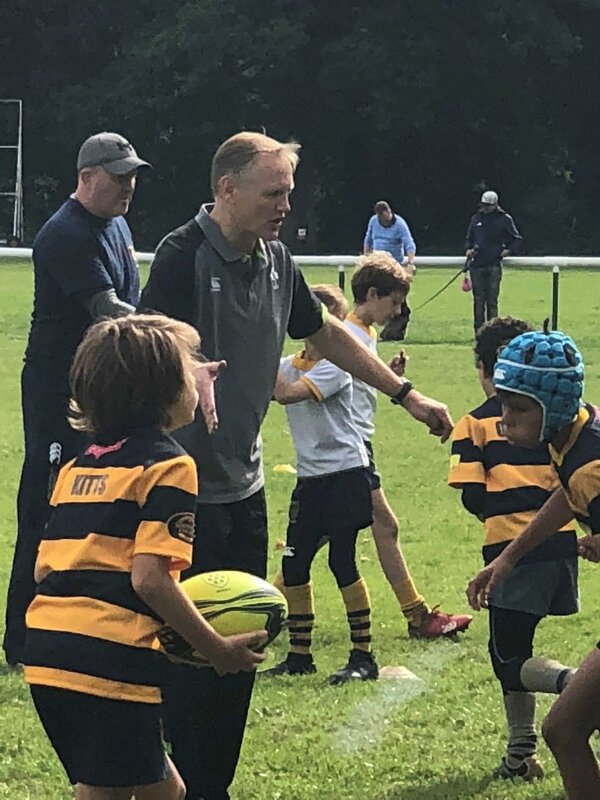 The two world-class coaches put 80+ Oaks youngsters from the Under 10s and Under 13s through their paces with a series of games and drills on the 1st XV pitch in front of the Clubhouse. "Joe and Hika were incredible, the lads have probably never been more focused," said Under 13s Head Coach Shaun Baker. 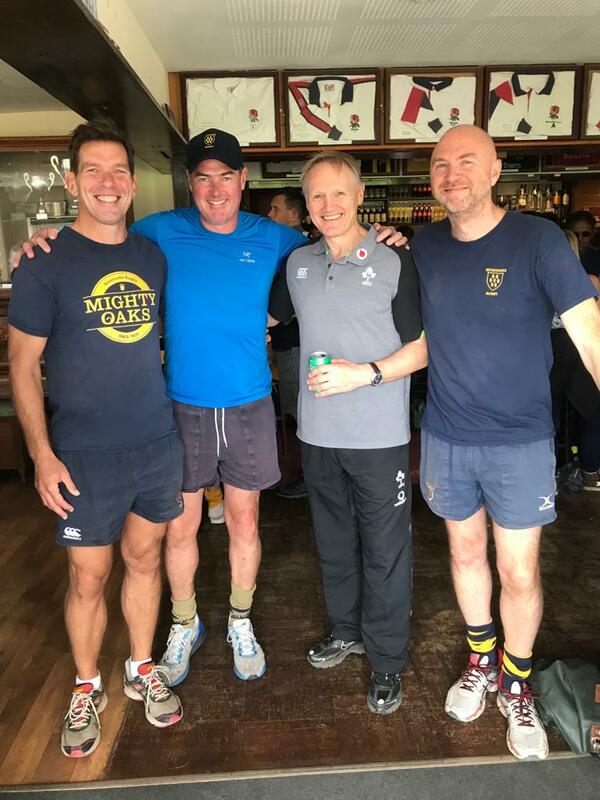 "There were plenty of smiles and lots of fun, alongside some more serious safety and development messages provided by these two rugby legends. I have to admit to being a little awed and nervous at the start of the session, but that quickly changed as it became clear how down to earth and grounded the two star coaches are. Nothing flashy, no airs and graces, just effective, intense, high quality games and drills run with a quiet authority that went down really well with the players. As a coaching team we also learned a huge amount, and players, parents and coaches alike were all buzzing afterwards." Sevenoaks Rugby extends a huge thanks to Joe and to Hika for joining us on the day, and we wish them all the very best for the season ahead.